Our bitcoin trading platform- How Does It Work? The long answer is that our website will help you in two ways: Select a trusted and tested broker for cryptocurrencies and learn how to trade cryptocurrencies like Bitcoin at the same time. Since we are true believers of out-delivering, we have found a way to deliver both of those things to you for FREE! The team I gathered includes a total of 25 years of trading experience on the Cryptocurrencies, FOREX and Commodities markets. In our team we have a trader who has traded in a few leading prop trading houses in London, a Hedge Fund Quant and a Bitcoin Expert. Our collective experience is what separates us from the rest and our passion for helping other new traders and bitcoin enthusiasts is what pushes us forward every day! Why we decided to compare brokers? The idea came when we saw a few of our close friends lose money because of unfair practices due to a wrong broker selection. Although we cannot guarantee that this won’t happen with any broker that we list on our website, we feel very confident that we compare only the best brokers out there. If somebody is ever giving you guarantees, you should turn on your skeptical mode! 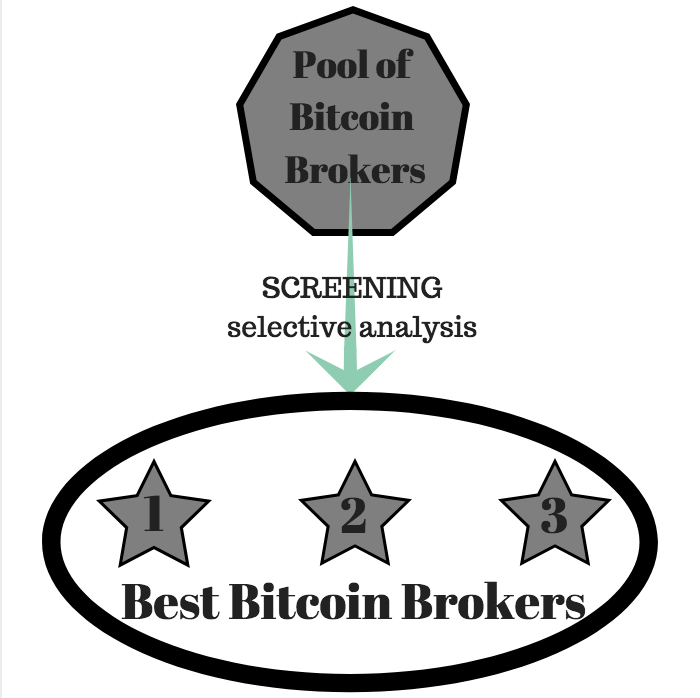 Why do we believe our selection of brokers compares the best cryptocurrency brokers? We do personally contact and research each of the brokers we list on our website. 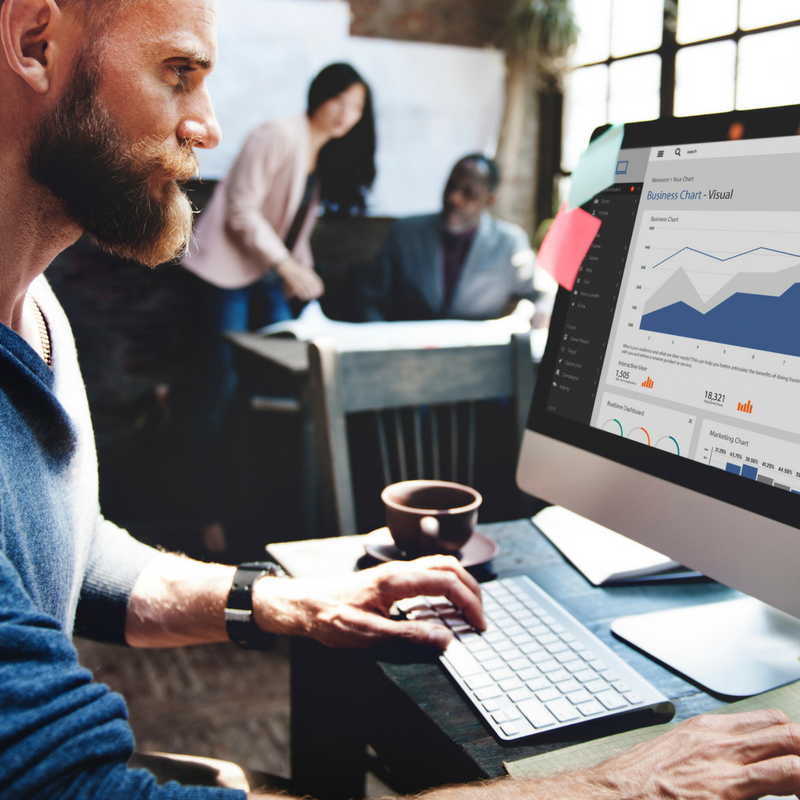 We work with mostly FCA regulated brokers and are constantly checking the latest developments in this field, so we can accurately give you the best and most objective selection of crypto/bitcoin brokers. We would only list brokers on our website that we truly believe in and we would use ourselves. It all started from that sketchbook … I’ve decided that in order to accomplish such a task, I will need to get a team of experts. After a couple of months, we were three partners on-board. The second idea was to share our trading expertise with our followers. 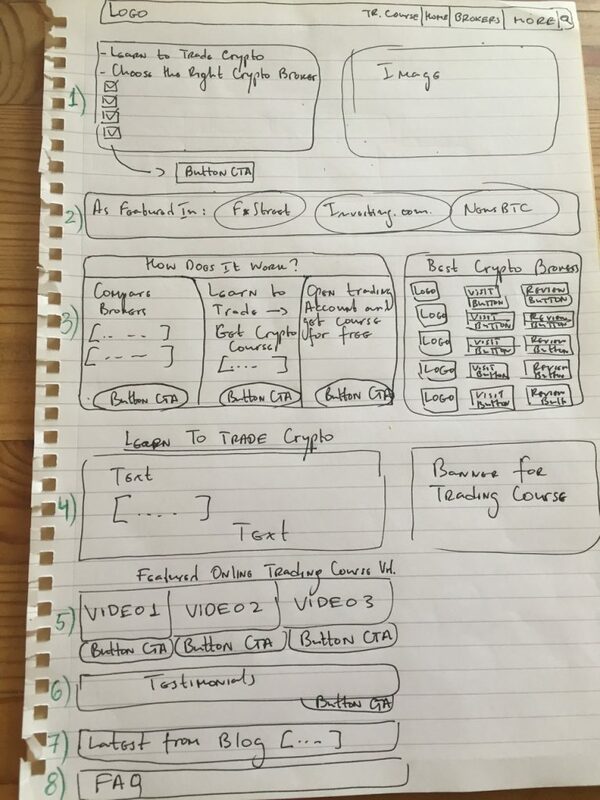 That is how we came up with the idea of creating a trading course (The Unicorn System). Trading with bitcoin has gained popularity in recent years, but there are almost no educational providers that offer a professional trading course. With our professional trading programme for bitcoin traders we have filled this gap. We are proud to be the first company online to have created a trading course for retail traders. You can check it out by following this link: Learn to trade bitcoin and other cryptocurrencies. We will leave our students to be the judges of our crypto trading course. We believe that testimonials speak louder than empty promises, therefore you should feel free to check online forums or other channels of information from which you can ask other bitcoin/crypto traders that have already taken our professional course. We also trust that our trading knowledge will help you become better traders so much, that we have a 30-days money back guarantee option. We have recently decided to make the trading course even more affordable. 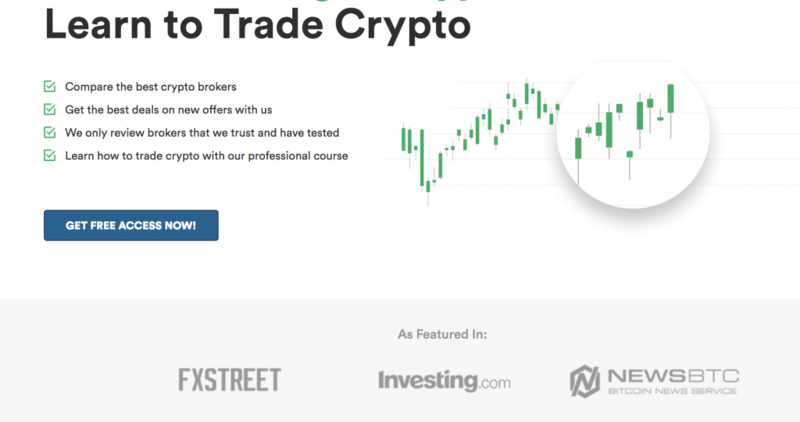 For all of the crypto/bitcoin enthusiasts that want to learn how to trade the way we trade, we offer the course for free once they open a trading account with any of our partnering brokers. We want to be completely fair with you on that. We are still being paid for the course. The cost of the course will be covered by our partners, since a lot of beginners cannot afford to pay for a course and open a trading account. Although, we are trying to keep this cost as low as possible, we need to cover our expenses for running this website, paying the team behind it, etc. Therefore, if you are in a situation in which you are wondering between taking our trading course or opening a trading account- we can offer you both for the same initial investment. Just open a trading account with any of our partners and fund it with the amount that you initially wanted to start trading with. Instead of paying us for the trading course, send us a proof of deposit and you get our course for free. Why are we doing that? Why this process works so great? That is the best word that explains why this process works. Our team is extremely motivated to help bitcoin traders in such a difficult field in any possible way. We are grateful that we’ve had the chance ourselves to be where we are now. 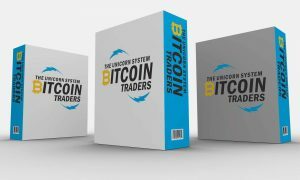 It works, because we have found a solution for traders who don’t know how to choose a good broker or cannot afford to pay for a bitcoin trading course. The desire of our partnering brokers to cover your fees for the professional trading course is another proof that they are the right bitcoin providers you want to trade with. So logical, isn’t it! What Comes Next? How Can You Help? After almost one year of hard work we can finally say that we have accomplished what we aimed for. Helping others has always been the major goal my team and I have had. We are constantly looking for other traders’ opinions and looking for more reliable brokers to add to our list. If you want to help us, make sure you give us your suggestions and share your thoughts. If you truly believe in a broker that you have tested yourselves and which we have omitted, help other traders by e-mailing us, so we can add it to our list. We will of course do our due diligence and if the broker ticks all our boxes, we will share the word with the community. Let’s help each other and improve together! We are always up for a chat. Always!